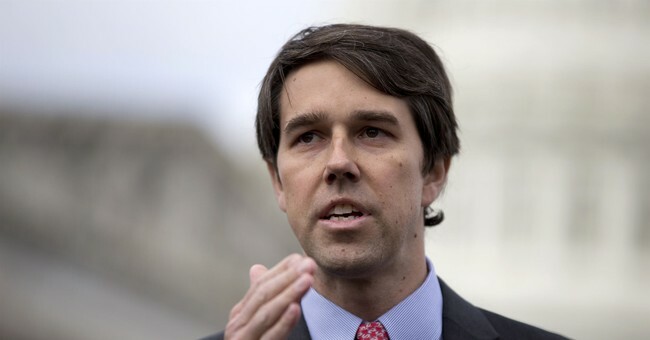 A class action lawsuit was filed against the Beto O'Rourke campaign on Friday. According to the lawsuit, Beto's campaign sent text messages to Texas voters without their permission, which would be a direct violation of the Telephone Consumer Protection Act, the Star-Telegram reported. The lawsuit was started by Collin County resident Sameer Syeed, who said he received nine text messages from the campaign. But here's the problem: he never opted into receiving text message communications from the campaign. Syeed tried calling the numbers he was receiving text messages from but he received an error or disconnected dial tones. which means the Beto campaign was using an automated system. He also tried responding to the text messages to opt out but he never received a response. The Telephone Consumer Protection Act makes it illegal for any one to utilize an automated system to send text messages to someone without their permission. The class action lawsuit calls for the Beto campaign to pay $500 per text message to each person in the suit. Of course, Beto's campaign denied any wrongdoing. “Our grassroots volunteer program with thousands of Texans canvassing, phone banking, texting, and organizing is the largest this state has seen. It is fully compliant with the law,” Chris Evans, communications director of Beto for Texas, told the Star-Telegram.